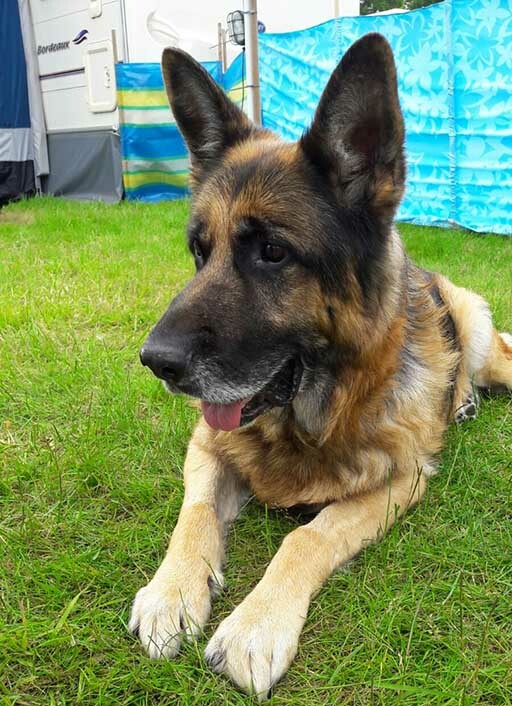 Cobra the German Shepherd – a worthy Pet of the Month! Cobra is a very worthy Pet of the Month! Though Cobra is the most lovely boy – as a patient we have seen more of Cobra over the years than we would ever want to! I am sure his owners would agree! Since a puppy he has been a frequent visitor to the Hospital. When he was only 2 months old he was knocked over by another dog and fractured his left back leg – having had that fixed he obviously liked his visits to the Hospital and has since found any excuse to come back! 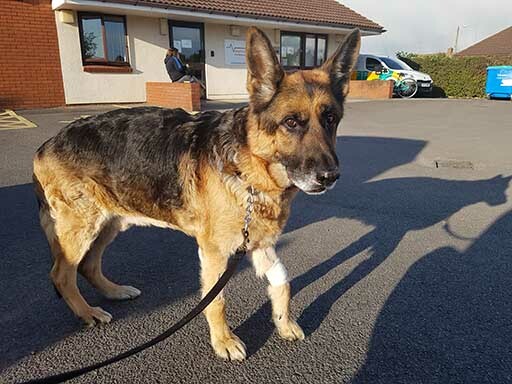 Having been treated for arthritis of the shoulders and elbows with laser therapy and anti-inflammatory drugs and also treated for an unusual immune mediated condition which affected his nose, lips and muzzle, Cobra was brought to the Hospital as an emergency early on a Sunday morning in April. He was very quiet and weak and had a very high temperature – so different from the usual happy and vocal Cobra. 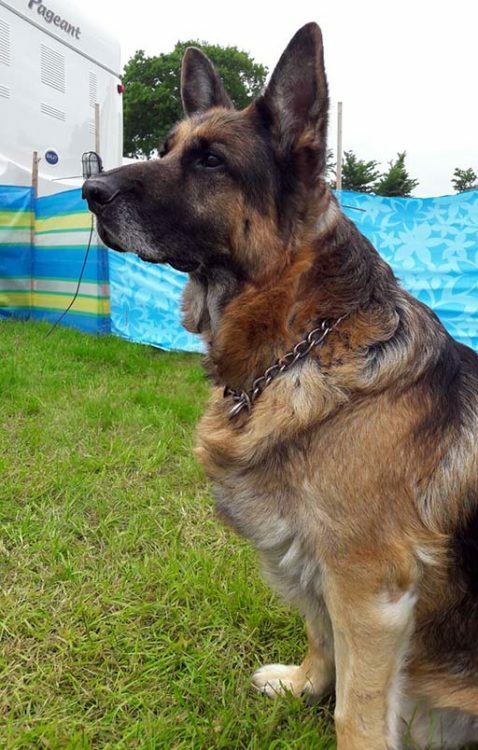 His owners mentioned that he had eaten a bone recently and he was showing gastro-intestinal signs. After assessment he was admitted into intensive care at the Hospital for the treatment of his gastro-intestinal condition. Having had blood tests, intra-venous fluid therapy and xrays – the transit of 2 bone fragments through the digestive system was successfully managed – though it did require five days of hospitalization in intensive care and nursing. The middle photo to the left is Cobra leaving the hospital after his treatment. It took a while for Cobra to get back to his normal energetic self, however by early May Cobra was showing his usual enthusiasm for life and fun again. We were all delighted. It wasn’t long before Cobra was missing us again – so later in May with a new lameness Cobra was back – he just can’t keep away! Congratulations at being awarded Pet of the Month Cobra, we’ll all very fond of you.